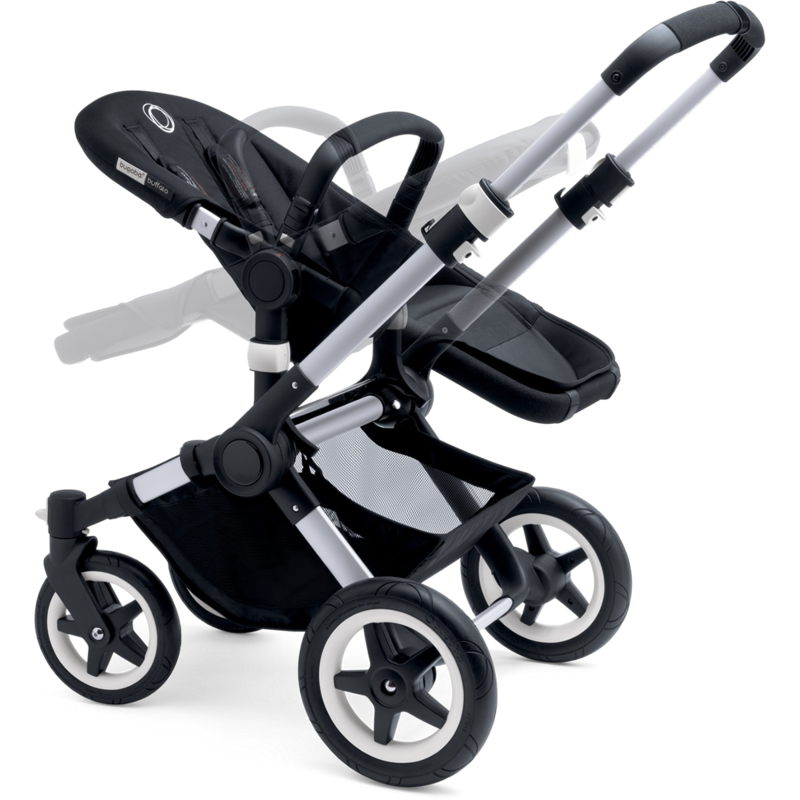 Suitable from birth, bassinet converts to seat and back, and it's travel system compatible, so baby is undisturbed from car to stroller (adapters sold separately). Reversible and reclineable seat, so baby can face you or the world. 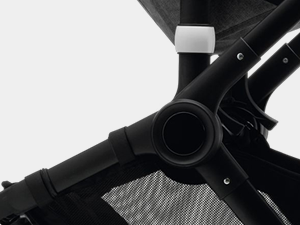 Use the self-standing seat and bassinet independently on the ground. 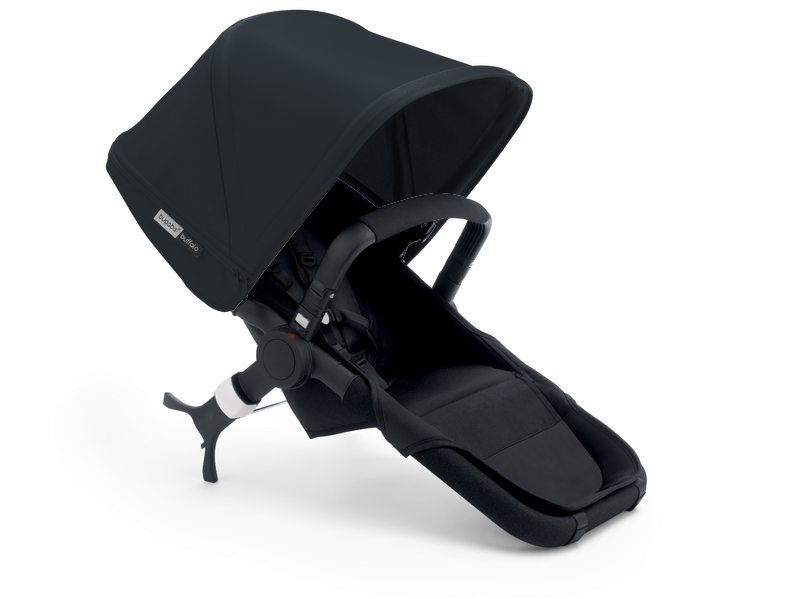 One-piece fold with seat or bassinet attached. Combining timeless elegance with a taste for the outdoors, Bugaboo introduces the all-new Bugaboo Buffalo Classic collection. 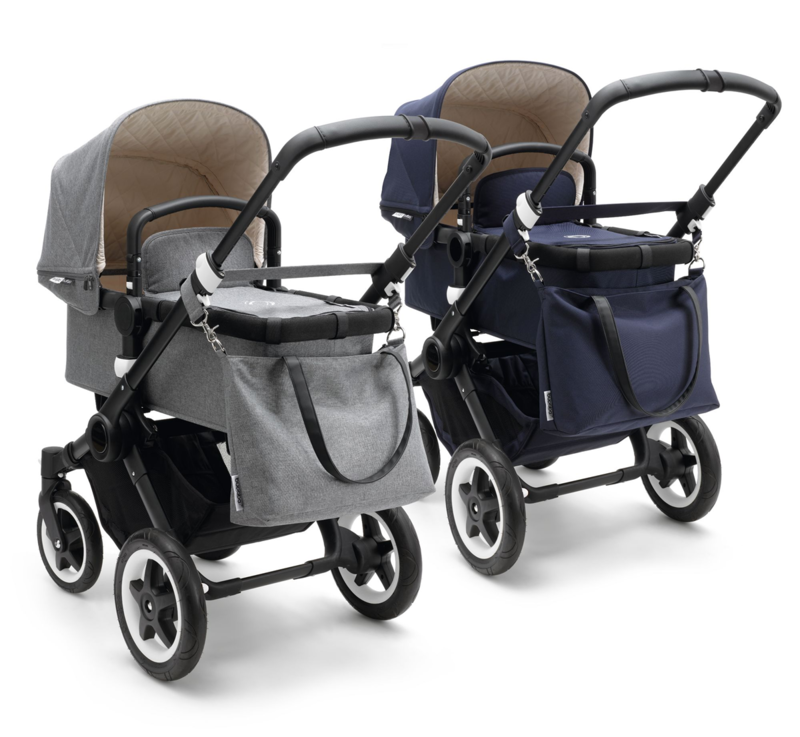 This latest incarnation of the city to countryside, all-terrain stroller comes with a navy-blue or grey-mélange canvas sun canopy, bassinet and seat fabric, and quilted, off-white interior lining. 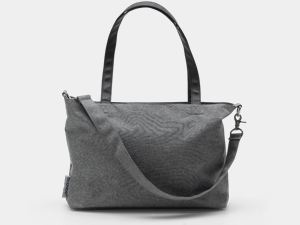 A black chassis, black leather-look handlebar and carry handle add a touch of luxury and complement the navy blue or grey mélange outer fabric. 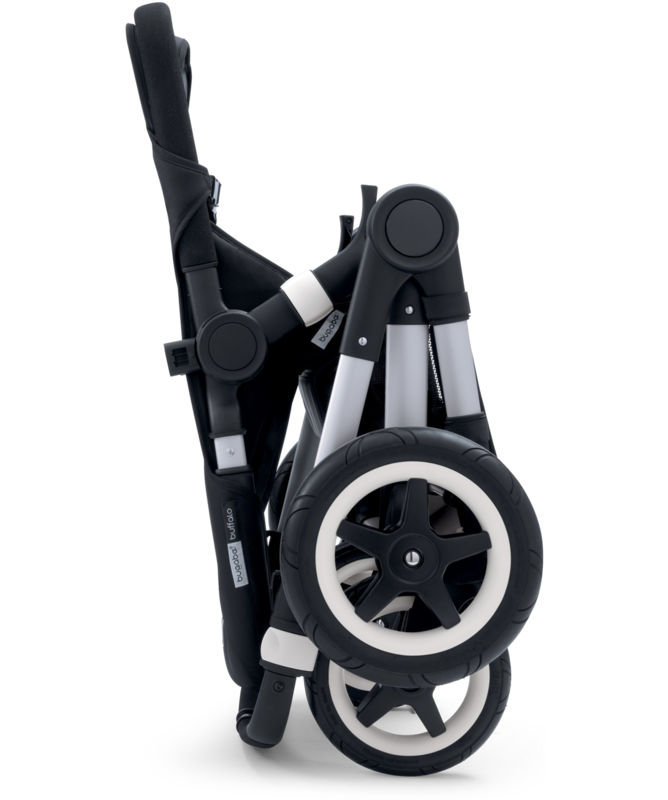 As an added bonus, the bugaboo buffalo classic collection comes with a matching tote bag which hangs safely from the handlebar, is big enough to carry any essentials, and features a zip-closure to prevent dirt and rain from getting inside. Who says classic can’t be courageous? 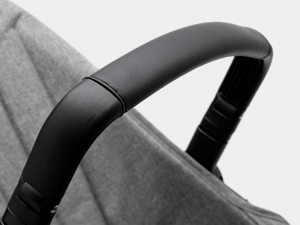 Versatile, robust and spacious, the one piece fold Bugaboo Buffalo has multiple luggage options (up to 16kg/35 lbs), a high and spacious seat (up to 23kg/50lbs), and an extendable sun canopy for extra protection against the elements. So no matter how rough your expedition, it will always be a smooth ride. Reversible seat For your child's every mood – facing you, facing the world. All-terrain suitability Ready to go on any terrain with 4 large wheels. Spacious and easily accessible luggage options Take up to 35 lbs with you! Not only in the very large underseat basket, but also on the integrated bag hooks on the handlebar. 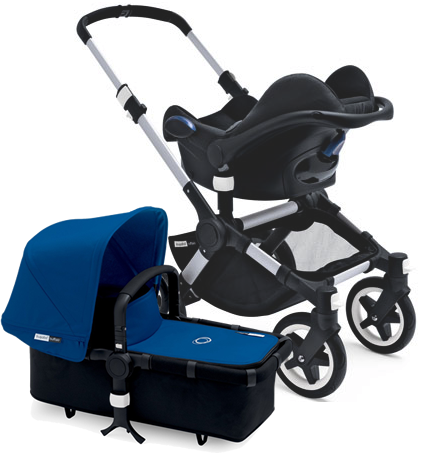 From infant to toddler Ready to go from day one; the bassinet easily converts into a seat and vice versa. Extendable sun canopy For extra protection against sun, wind and rain. Two-wheel position Enjoy your ride through sand and snow! Reclinable seat Sit up straight when awake, recline when relaxed, or lie flat when fast asleep. Compact fold Easy to store at home or in the car. 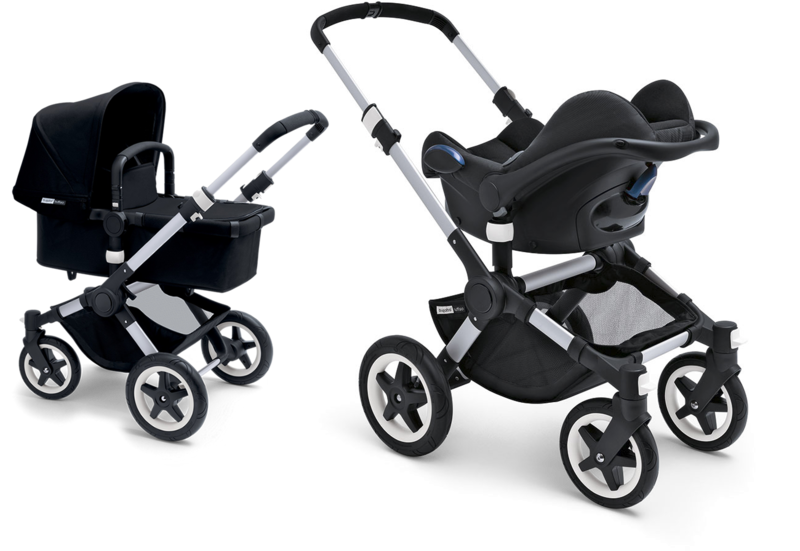 Independent seat & bassinet Use the self-standing seat and bassinet independently on the ground. 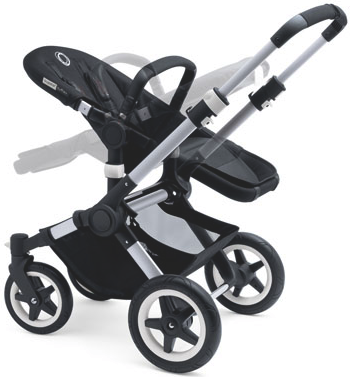 Rotating carry handle Easy acces to your child for those scoop-up moments. Height-adjustable handlebar A comfortable ride regardless of your height. 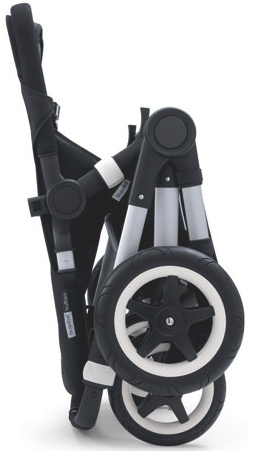 * The Bugaboo Buffalo is engineered to be robust - even up to a seat load of 50 lbs.